Hillside Recycling in Tremonton, UT can handle all your recycling needs. Call us at Hillside Recycling for competitive pricing on all your recycling needs. Hillside Recycling is a company that specializes in all manner of recycling services, including metal, plastics, and paper recycling in Tremonton, UT. If you need something recycled, you need Hillside Recycling in Tremonton, UT. 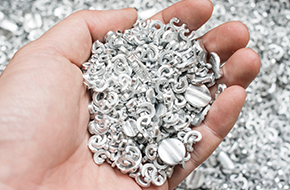 Hillside Recycling is a full-service recycling company located in Tremonton, UT, and we handle all kinds of recycling, including metal, plastic, cardboard, and paper recycling. At Hillside Recycling, we are committed like everyone should be, to re-using Earth's resources, because we understand that many of these resources are non-renewable, so it just makes good sense to re-use and not discard them. We offer very competitive pricing for our services, and we can make it very easy to recycle all your materials by providing on-site roll-off bins which can be loaded up with all your unwanted materials. Probably for most people, recycling does not enter the consciousness on a routine basis, and it’s easy to overlook the fact that materials which could still be re-used are being discarded in trash bins. 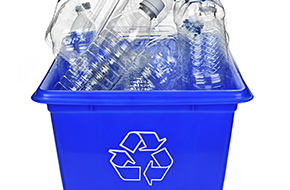 While things like emptied soda cans and soda bottles are pretty obvious candidates for recycling, many people tend to overlook the less obvious materials like scrap metal, cardboard, and plastics which are not beverage containers. Since recycling is our business, we at Hillside Recycling are aware of all these on a daily basis, and we therefore do what we can to raise community awareness about recycling. Yes, recycling is a benefit to our business, but it’s also a benefit to the community, and to everyone around the globe who uses these materials, and doesn’t want to run out of them in the future. Before you discard any of these kinds of recyclable materials and have them end up sitting in a landfill somewhere, give us a call at Hillside Recycling, and we’ll help to ensure that these materials get used over and over again, rather than wasted. 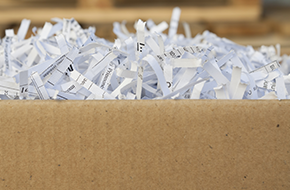 If you aren’t sure whether a particular material is recyclable, please do check with us, and we’ll be happy to consult with you.